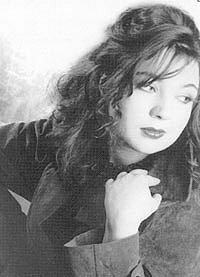 This fine Russian violinist, who studied at the Royal College of Music in London, came to notice with a memorable appearance in the PLG Young Artists series (reviewed in Seen&Heard, January 2000). His debut CD, made when he was just 23, covers similar repertoire. I'm not greatly enamoured of minimalism, but Mints made a better case for Pärt's Fratres (which exists in numerous arrangements) than most other performances I have encountered. Vassiliev's short pieces traverse a wide expressive range, as does Penderecki's 1959 Miniatury. Lutoslawski's virtuoso display piece Subito is one of the composer's last works, with 16 finalists at the 1994 International Violin Competition in Indianapolis all credited with its first performances. Gubaidulina's Dancer on a Tightrope explores amazing sounds inside the piano, produced with a glass tumbler on the strings. 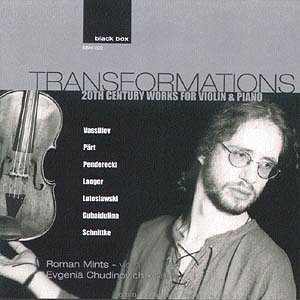 Least known of the composers represented is Elena Langer, whose Transformations were revised for Roman Mints in 1998. To end, Schnittke's sour and grotesque distortion of Silent night makes a bizarre and thought provoking conclusion to a fascinating recital. Elena Chudinovich, a child prodigy from the Ukraine, also studied in London, winning the Premier Prix at the Guildhall School of Music. Her contributions to this very personal recital programme are equally impressive; two young artists to watch! Black Box's recording is impeccable and their stylish presentation, in black, white and silver, is both informative and a pleasure to handle. A very desirable CD.